All written content on this site, unless otherwise noted, has been created by the website owner and his guest author. As such, the content is the property of the website owner and his guest author. This content is protected by U.S. and international copyright laws. If you wish to reproduce, re-post, or display any of our content on your own site please only do so if you also provide a link back to the source page on this website and properly attribute authorship. Our preference is that you seek our permission before doing so. The use of any Trademark or Copyrighted material on this site is not intended to infringe copyright. Quotations: If you see anything on this website that has not been properly attributed to its originator please either contact me directly or use the comment section on the offending post to register your complaint. In response, I will attempt to correct the attribution of the offending material or remove and/or replace it. Images/Videos: All material on this website is posted in accordance with the limitations set forward by the Digital Millennium Copyright Act (DMCA). If a documented copyright owner so requests, their material will be removed from published display, although the Author reserves the right to provide linkage to that material or to a source for that material. 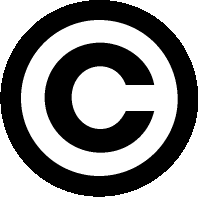 As a website devoted to discussing film, television, and other realms of pop culture, we will at times for illustrative purposes present copyrighted material, the use of which might not always be specifically authorized by the copyright owner. Such material is made available for purposes such as criticism, comment, news reporting, and research. The website owner believes that this constitutes a “fair use” of any such copyrighted material as provided for in section 107 of the U. S. Copyright Law. In accordance with Title 17 U.S.C. Section 107, the articles published on this website are distributed for research, entertainment, and educational purposes.